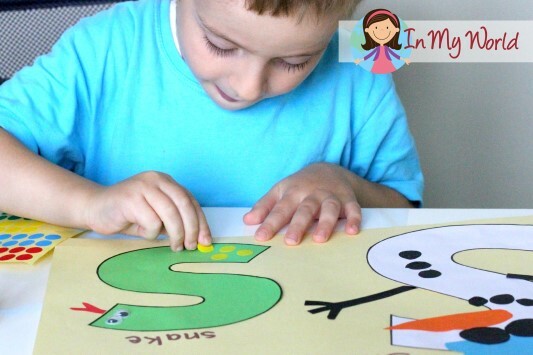 Welcome to Preschool Letter S! 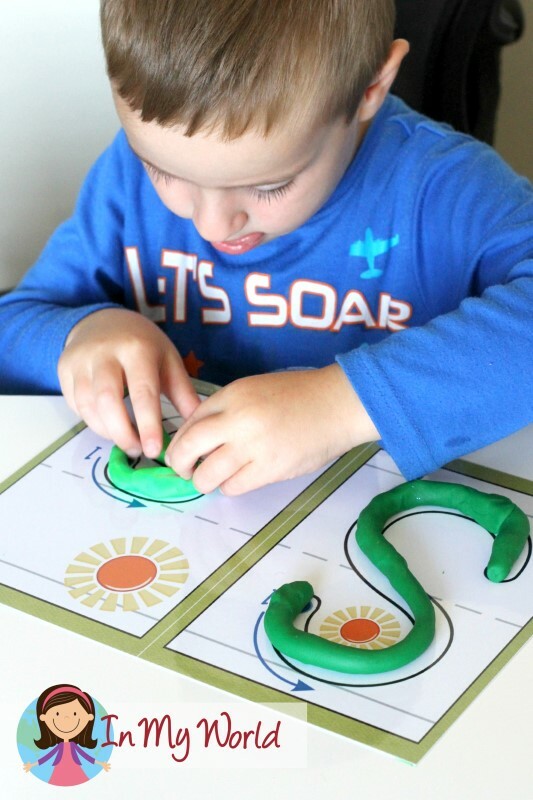 Below, Filip is carefully shaping out the play dough on our letter S play dough mat. 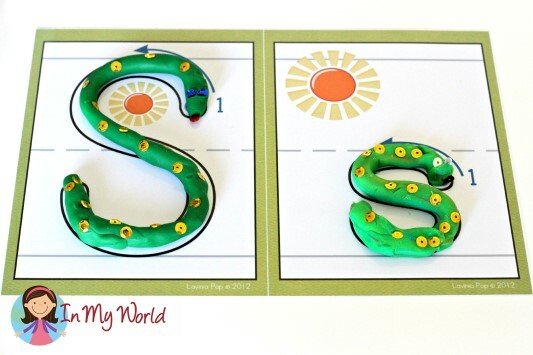 Once completed, he put on some sequins to make each S look like a snake, as pictured above. 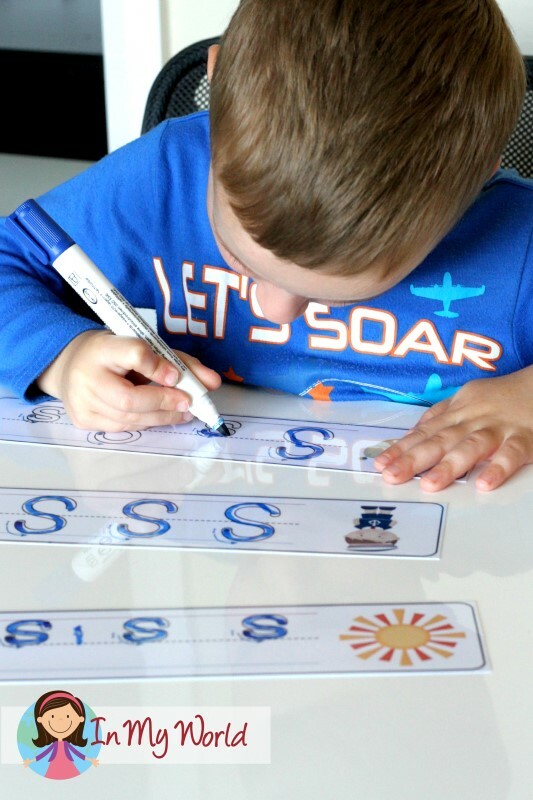 We then took out our laminated Letter S Write and Wipe cards and Filip practiced tracing upper case, lower case and then mixed upper and lower case S using a whiteboard marker. 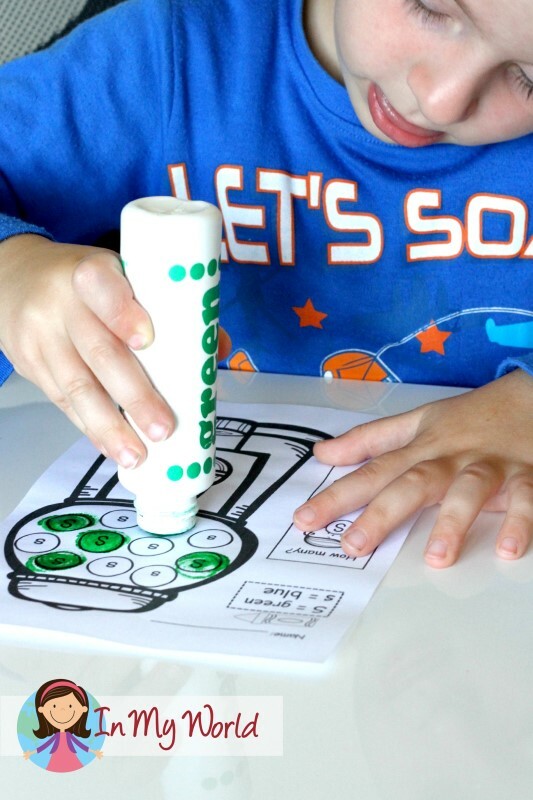 This week, we used Dawn DeLorenzo’s Gumball Dot It! 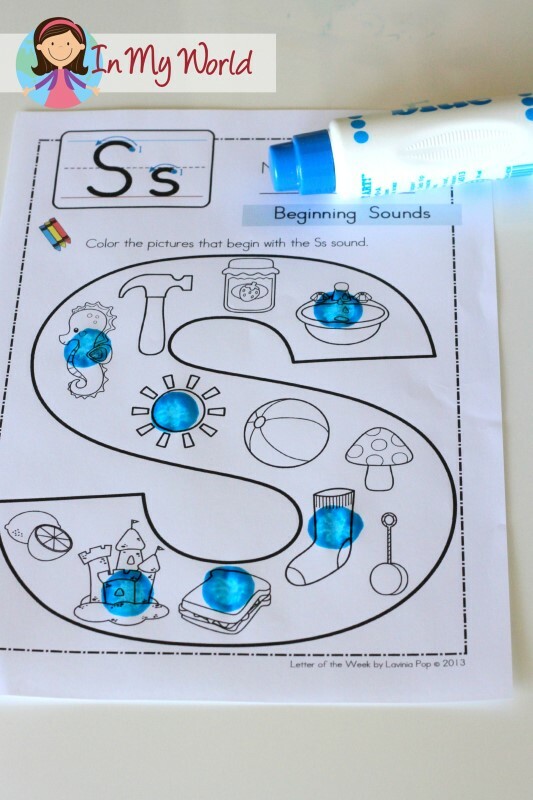 Letter S activity page to identify upper and lower case S.
Next, Filip dot-painted the pictures that begin with the S sound on this worksheet from my Beginning Sounds: Color It unit. 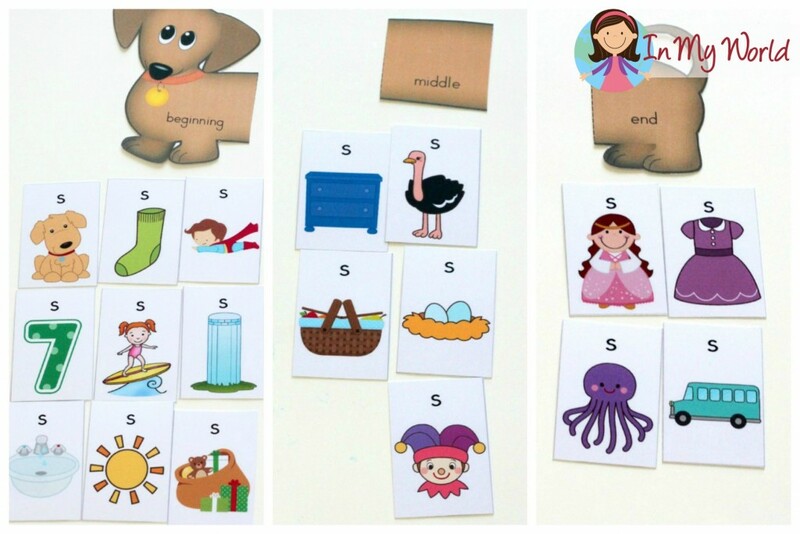 We moved on and sorted S cards by sound position using my Sound Hound unit. 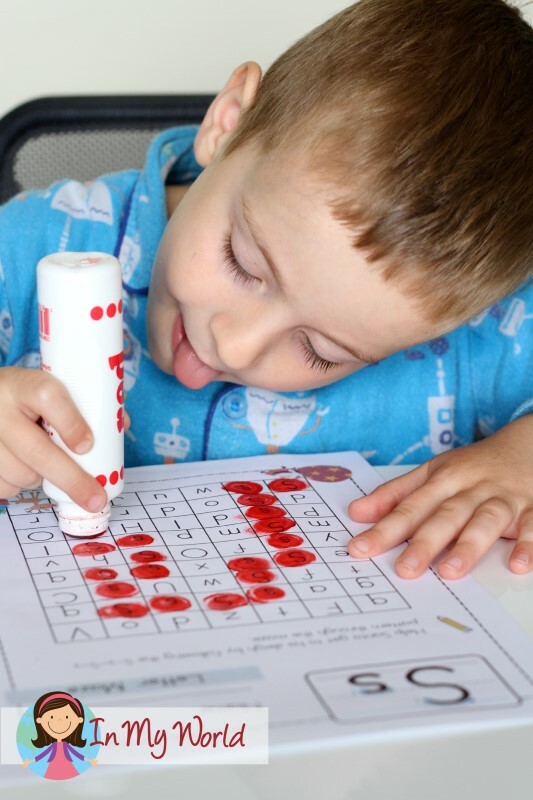 This is always lots of fun for Filip and he is needing less and less help with sounding out the words and figuring out where they belong. 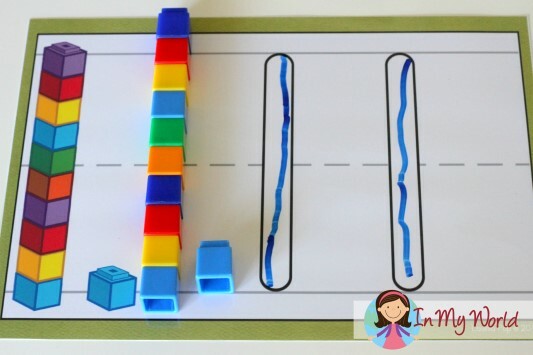 This week, I introduced a new play dough mat for our number focus. 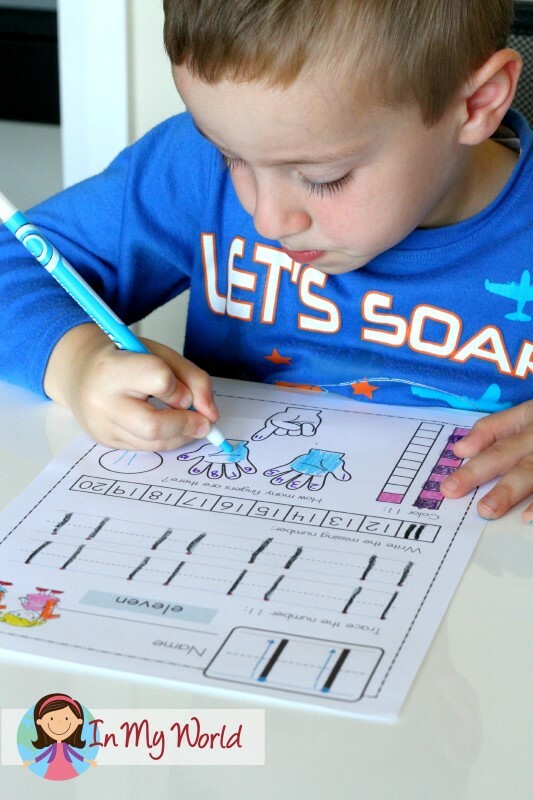 Since Filip has had good practice learning to form the numbers with our previous mats, I decided to shift the focus from learning to write numbers to counting and matching/following a sequence. Here is the finished mat. We finished Day 1 with the number 11 page from my Number Concepts unit. Day 2 was PJ day at our house. Well… no. Not really. 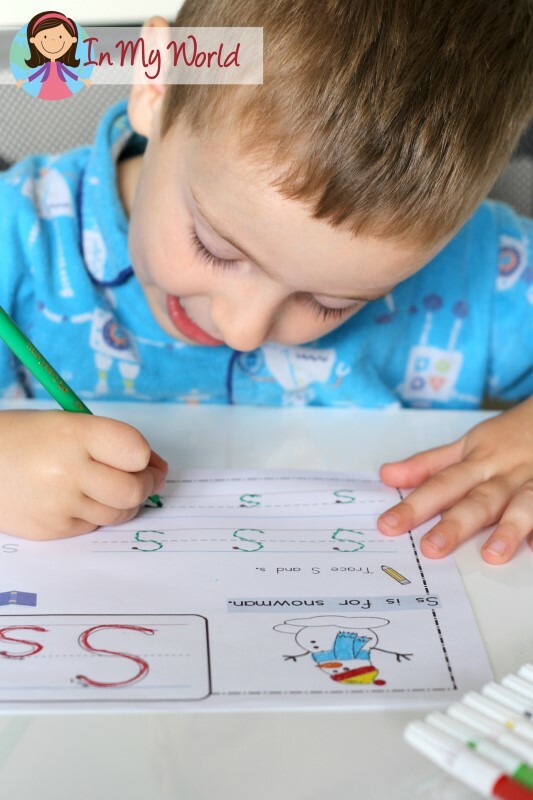 Filip just insisted on staying in his PJs for longer than usual. Eh, no biggie! 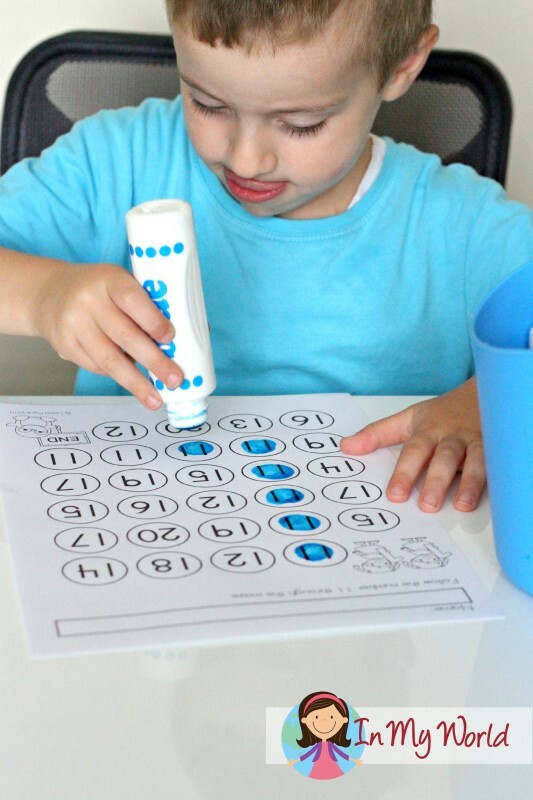 Here he is dotting his way through an upper and lower case S maze. 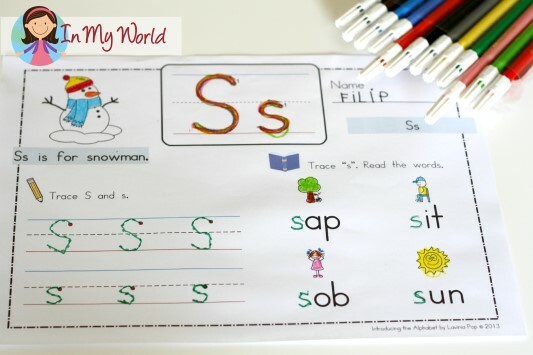 Next, Filip practiced writing upper and lower case S and reading CVC words using the S page from my Introducing the Alphabet packet. 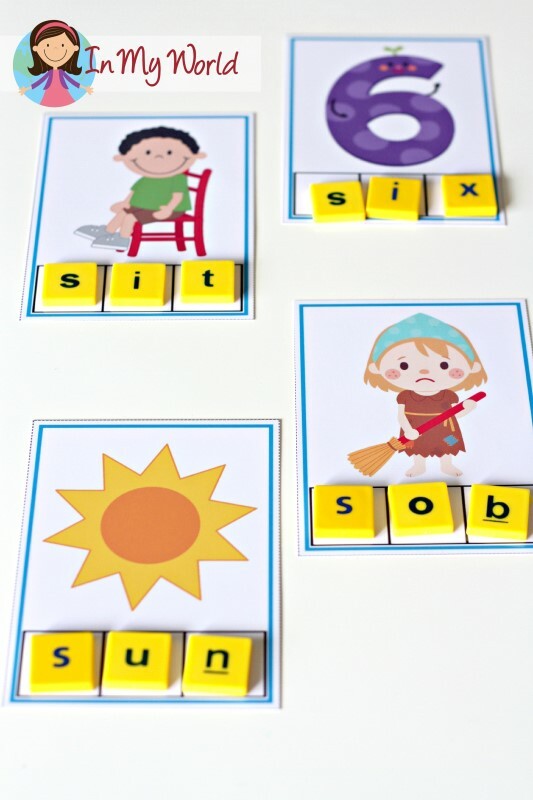 Then Filip ordered beginning S CVC Puzzles to make CVC words. 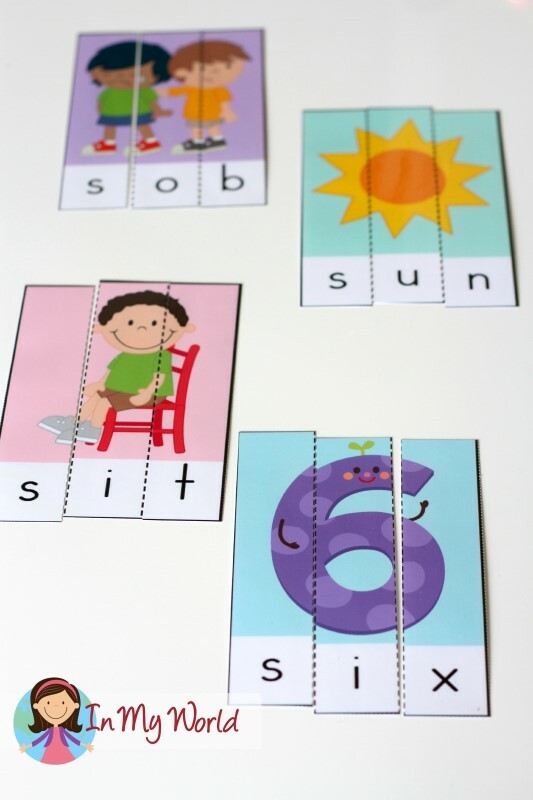 And we finished Day 2 with our beginning letter S Phoneme Segmentation Cards. 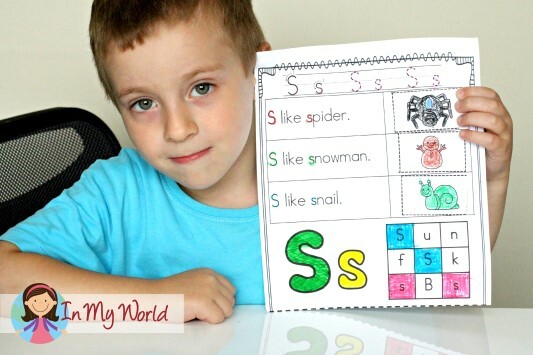 Then he worked on a letter S page from Mariela Santillana’s Learning Letters unit. 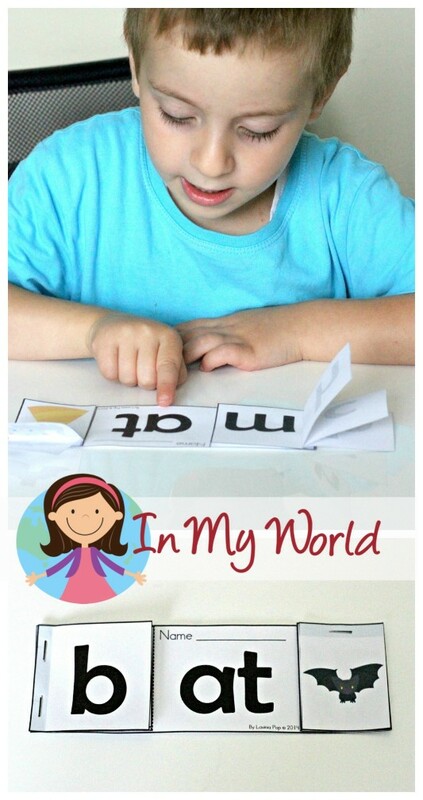 We also read our “AT” word family flip-flip book. 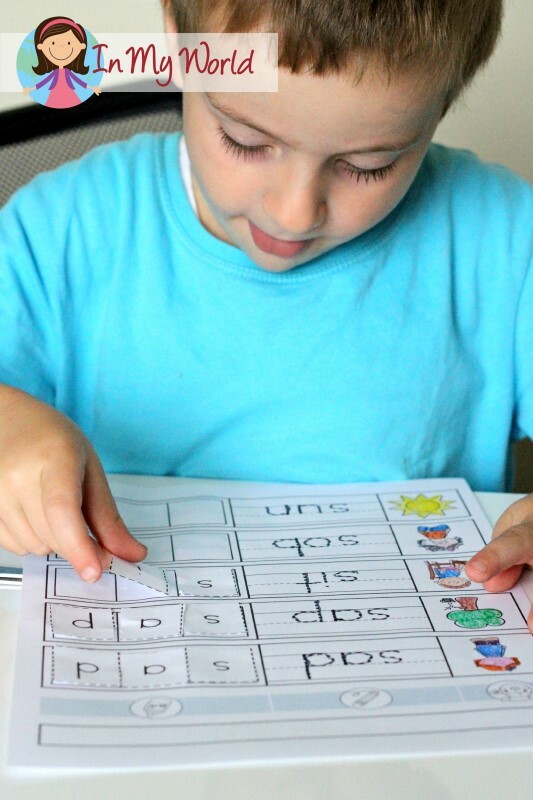 This week, Filip read the word on the card and then flipped to the next page to see if he had read the word correctly. We also did a Number 11 maze. 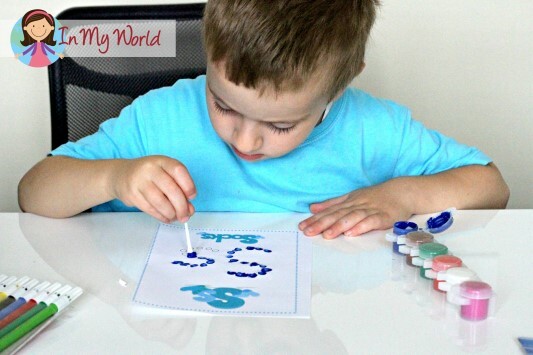 And we finished our Preschool Letter S week with a letter craft! 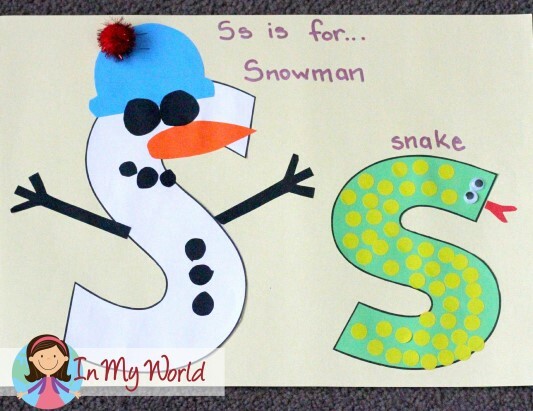 This week, it was S for Snowman and s for snake. LOTS of fun! Click here below to download a pdf. with all the FREEBIES from this post. I love your products! 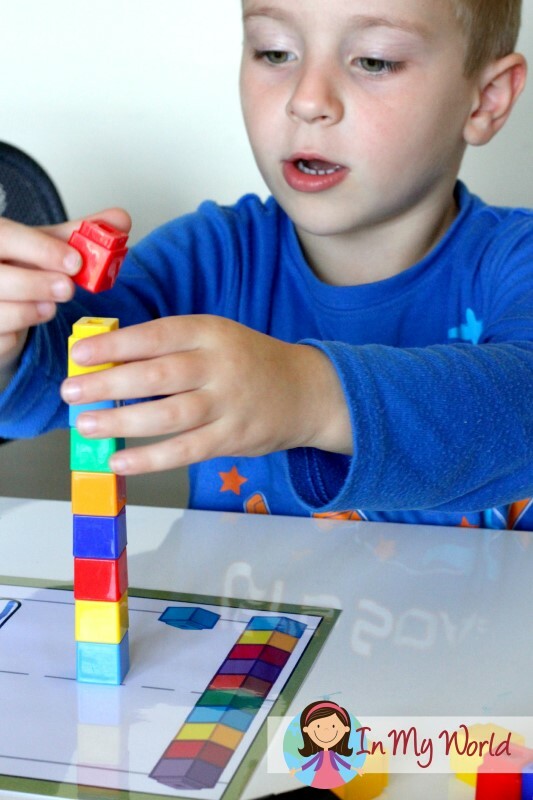 I have purchased many from tpt and look forward to reading your blog on a regular basis. 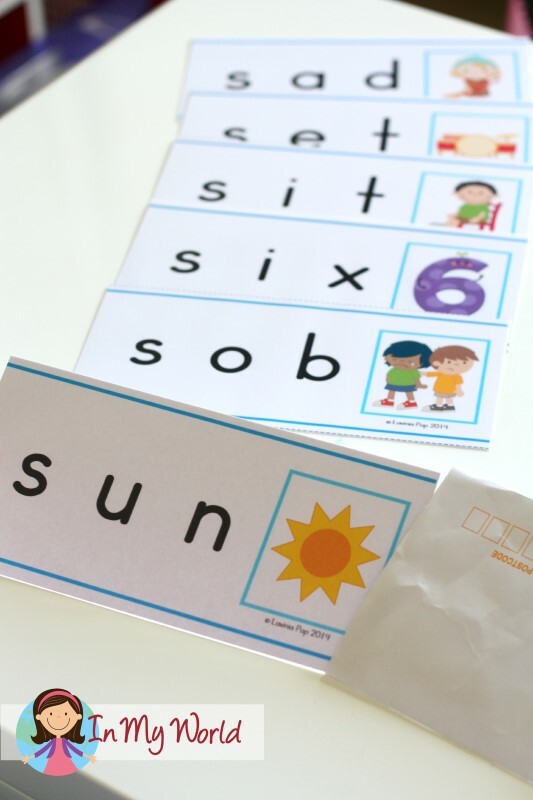 I would love to have this for each alphabet letter. May I purchase them somewhere, please, or do you have a free link for each letter, please? Wow! This is awesome. Thanks so much for sharing!